Would you like to change your capes or skin without leaving Minecraft? 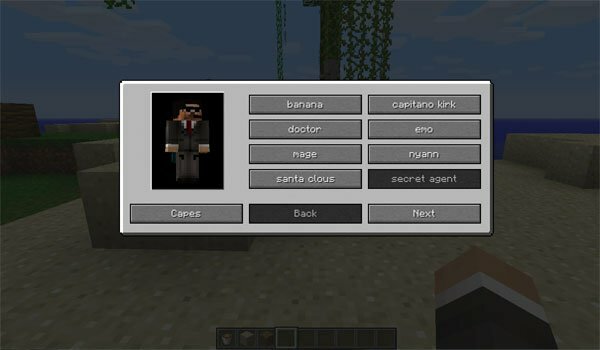 Closet Mod 1.5.2 is a very simple mod that allows us to change our skins and capes within the game itself. You only must craf a block with two treated wood on each side of the crafting table and two slab” of wood in the center column. Right clicking on this block will get to a menu where you can select the skins or click “Capes” to select them, so easy. How to install Closet Mod for Minecraft 1.5.2? Paste inside the downloaded mod files within “minecraft.jar”. Easily change capes and skins inside Minecraft!